If you were to be stranded on an island and had the chance to salvage one beauty/skincare item, what would it be? Admittedly, my first bottle of the sunflower beauty oil was an impulse buy. I have always liked sunflowers and I bought the item because the label was pretty. If I remember correctly, I picked up the 150ml bottle for 150PHP. That time, I had a few scars on my chin from cystic acne, and I wanted to give sunflower oil a try, especially since it claimed to lighten dark spots. To be honest, I did not expect much from it but it soon became one of my holy grails in skincare! Come to think of it, I found out about the product in 2014, and it still is a must-buy for me whenever I visit the Philippines. 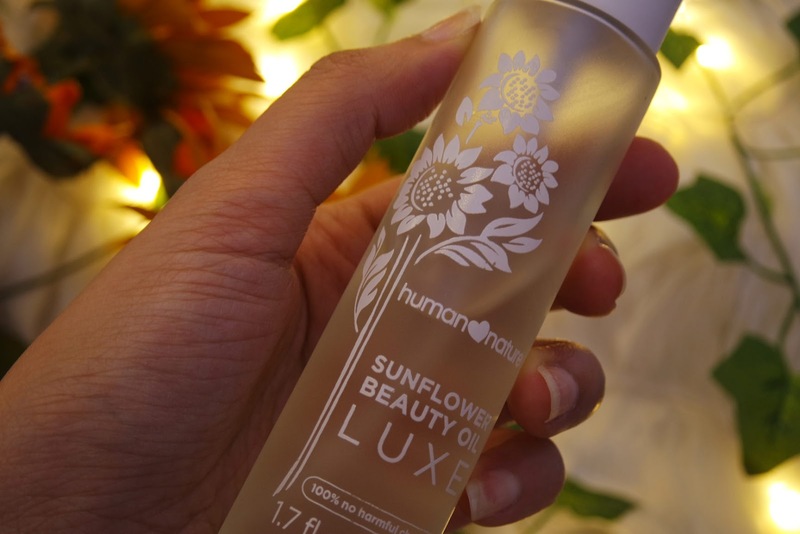 Human Heart Nature’s Sunflower Beauty Oil was easy to incorporate in my Korean skincare regimen. Firstly, I use it as an overall makeup remover. It is comparatively as effective as Simple Micellar Water, especially when it comes to removing waterproof and smudgeproof eyeliner without being harsh to the sensitive eye area. Apart from being a cleansing oil, it also functions as one of my moisturizers. For my night time routine, I apply it just before my cream, in this case Mizon Black Snail All in One, or whatever the last and heaviest product I have available. In the morning rush, I put it on after my toner, Cosrx BHA Skin Returning A-Sol, and before my sunblock, Missha All Around Safe Block Soft Finish Sun Milk. When it comes to either really tired or really lazy nights, I use it on its own after a good scrubbing with Skinfood Black Sugar Mask. I have consistently gotten a good moisturized effect however I use it, and best of all, I have never broken out from it! The only downside that I could think of is that it takes a minimum of 5 minutes for it to be properly absorbed, even if it is only two pumps of the sunflower oil. After application, you end up with shiny and oily looking skin. You could improve the absorption by patting and massaging the oil down. In 10 minutes, you get the plump as a baby’s bottom skin texture! Is it me or isn’t it just so tempting to pick on a scab? And isn’t it even further tempting to dry it out some more with benzoyl peroxide or salicylic acid, just so it sheds sooner? I used to be guilty of this but I found that patience is truly a virtue when it comes to letting your skin heal. Whenever I tried to rush the drying process (and remove the scab), I often ended up with a much darker spot that took longer to lighten up. However, when I started moisturizing the scab with sunflower oil, the new skin revealed is a faint, reddish brown. Within a week of extra moisturizing, the acne scar starts to even out and then return to its original color. I understand how counterintuitive it is to moisturize a wound you want badly to dry up but trust me, the additional moisture from the sunflower beauty oil helps the skin repair itself better. But wait, what about treating the actual pimple itself? The label made no claims on the sunflower beauty oil resolving acne so I never really tried it. Though there has been a study on how ozonized sunflower oil has an antibacterial effect, I have yet to find out whether Human Heart Nature implements the same process. In my case, I stick with either tea tree oil or salicylic acid for acne treatment. However, it has also been a long time since I had to use any of these antibacterial products. I rely on my other holy grail, Cosrx Acne Pimple Acne Patch, as my first aid. The moment I notice a red bump, I slap on a patch and it literally disappears overnight! Speaking of red bumps, I also use the sunflower beauty oil after waxing. If I had time to spare, I apply it as a moisturizer. But it also works as well when used in the shower, as a temporary replacement for my body wash. After waxing, I tend to just thoroughly wash with water to keep my skin from becoming more irritated. Aside from using it to soothe my skin, I also apply it to soften my hair, and sometimes even my lips! When it comes to moisturizing, the sunflower beauty oil has always been my top pick. However, I have yet to test whether it could whiten underarms, as the label claims. 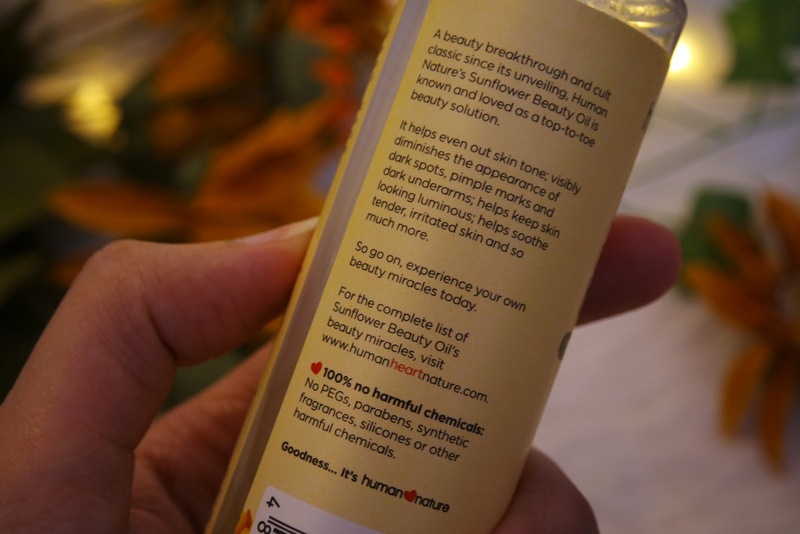 The website even lists down a total of 23 ways to use Human Heart Nature Sunflower Beauty Oil. Needless to say, we all have different skin types and the effects of sunflower oil would not be the same for everyone. I have normal to dry skin, and even this depends on the time of the month! 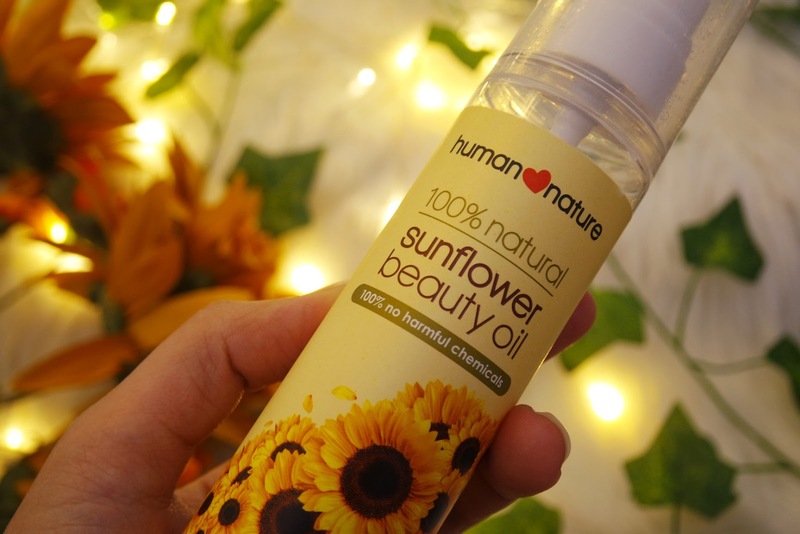 What I love about Human Heart Nature’s Sunflower Beauty Oil though is that it has consistently worked for me in different weather conditions. 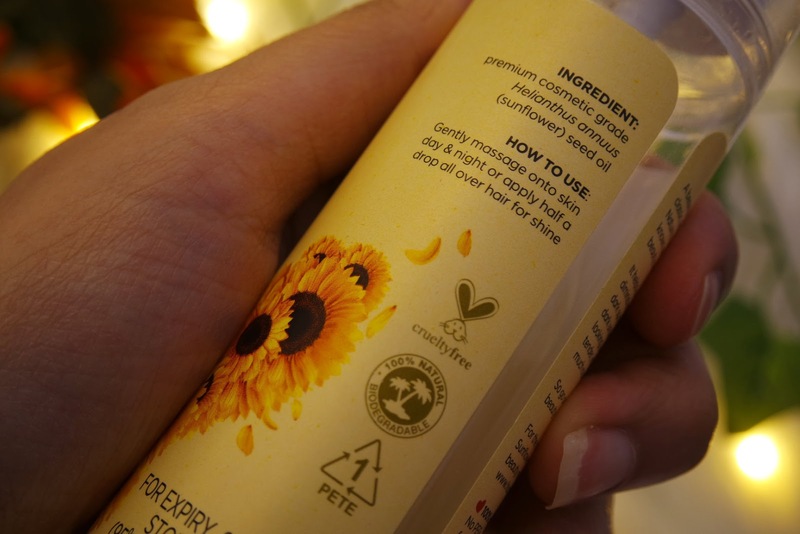 When I stayed in the Philippines (where I bought it), I thought having the extra moisture from the sunflower oil, in addition to the heat and humidity, would make me breakout. But it didn’t, and instead it actually kept my skin from becoming too oily. During my trip to Utah, where I experienced snow for the first time, it prevented my skin from drying and flaking. And this was even without my other cream since I wanted travel light! Back here in California, I am able to keep my skin healthy despite the heat and low humidity by layering the sun milk for sun protection, over the sunflower beauty oil, for moisture. 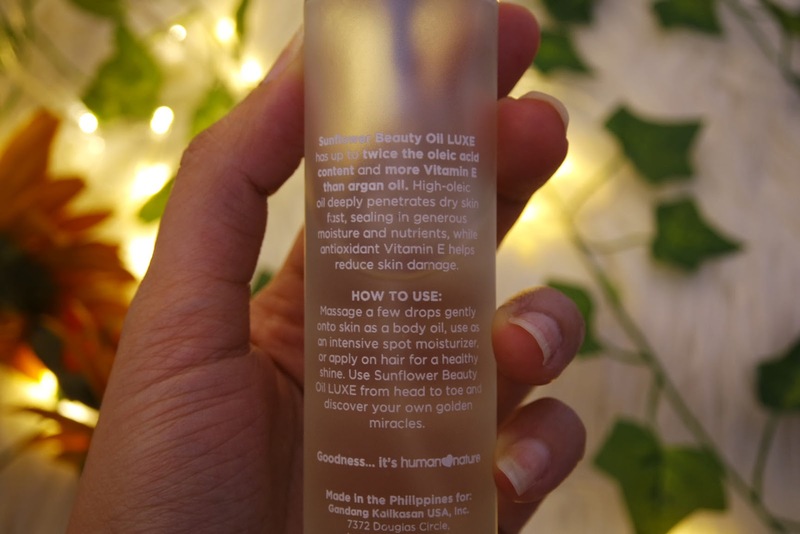 Since I am writing a review for Human Heart Nature's Sunflower Beauty Oil, I thought I should also throw in a quick comparison with another product from the same line. 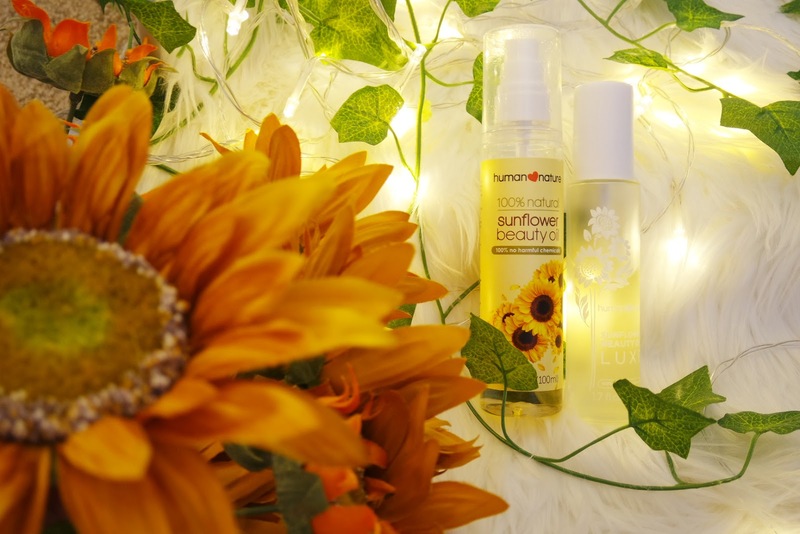 The Sunflower Beauty Oil LUXE is supposed to be an upgrade from the regular version, with its more concentrated formulation. Just by looking at the bottle, you get the sense that it is more effective and expectedly more expensive. However, despite its claim of having more Vitamin E than argan oil and twice the moisturizing effect of oleic acid, I found the deluxe version to worsen my hair texture. What is peculiar is that it leaves my hair feeling oily, as opposed to moisturized, with really dry, stiff ends. Because of this, I decided to separate it from my skin care regimen for the face, and instead I use it on the decolletage. The LUXE version still does moisturize, but I do prefer the regular version. 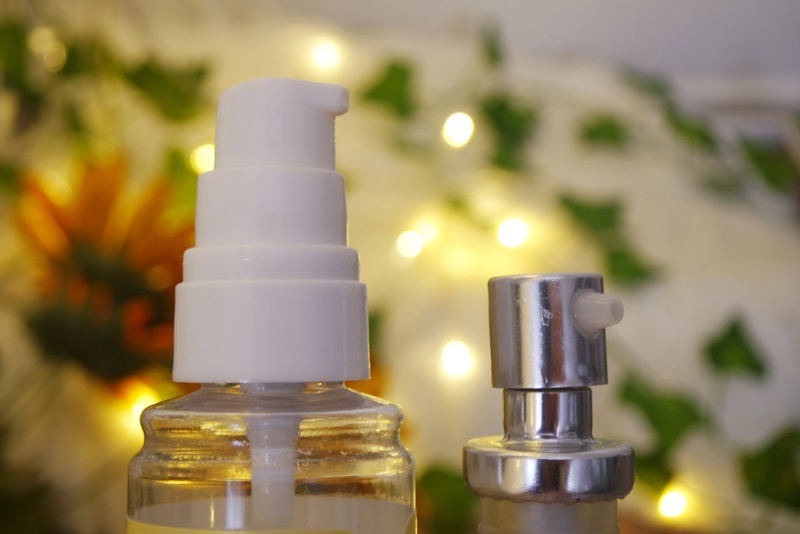 Additionally, it has a light fragrance from its rose oil content. It smells fresh but I prefer my skincare products scentless. I also noticed how it leaves a warm sensation upon application, which I don't appreciate right now in California's warm weather (read: heatwave). But I do look forward to using it as a massage oil come winter. Even though I just randomly picked up Human Heart Nature’s Sunflower Beauty Oil, I am glad to have it as part of my skincare regimen. 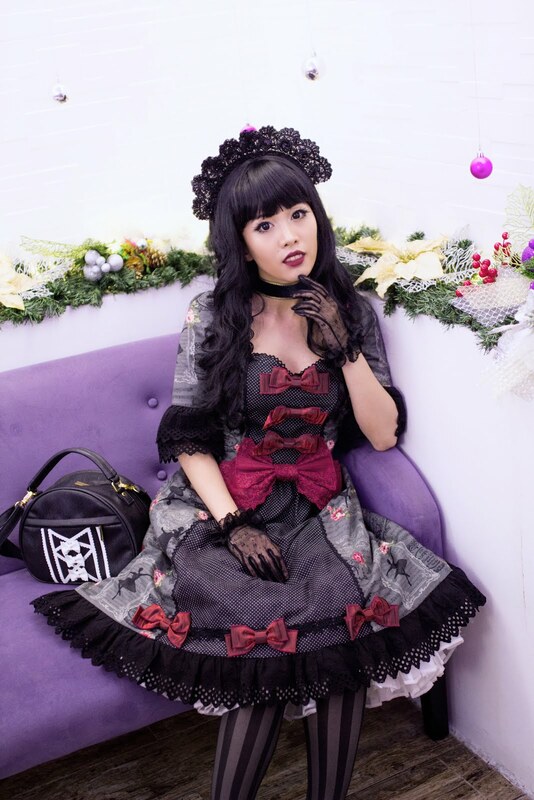 Researching more about the brand, I found out how the company aims to help the impoverished communities in the Philippines, while maintaining their production sustainable and cruelty-free. Indeed, it is easy to support products that work, but it is fulfilling to advocate for brands that care!